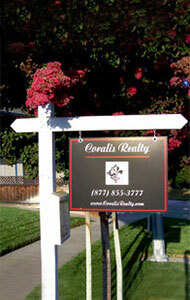 Coralis Realty, based on San Jose California, specializes in residential real estate in Santa Clara County, San Mateo County and parts of the Central Valley. We have a real estate boutique type of operation with knowledgeable and experienced agents, all long times residents in their respective coverage areas. Our business starts and ends with our customers. Customer support and satisfaction are at the core of our existence. We believe that Communication is at the center of success on this business. With this in mind, we have equipped our website with all the tools that Sellers or Buyers need to complete seamlessly any real estate transaction. You can perform MLS searches, create your own portfolio of properties to watch, research available short sales and foreclosures, check market trends and mortgage calculators, get advise on pitfalls to watch when selling or buying a home, learn about community information and much more. This content last updated on 04/23/2019 09:52 PM.